* Arab immigration (from Syria, Egypt, etc.) into the historic homeland of the Jews started mainly in the 1800’s, however, a significant upsurge occurred since 1922 as Zionists changed the face of the deserted land. First Arab on Jews massacre in a clear attempt of annihilation, was the Hebron massacre in 1929, incited by the Mufti Haj Amin al-Husseini who called to “Kill the Jews everywhere. This pleases Allah.” that was the foundation of the Arab-Israeli conflict. The 1929 riots were accompanied by militant Arab slogans such as: ‘Palestine is our land and the Jews our dogs…’ among the details of the brutality, small children were tortured by their murderers before being murdered. In 1967, Egypt’s pan-Arab leader Nasser declared, a few days before the six-day war, “Our main task is to destroy Israel.” Syria’s Assad: “It is time to embark on a war of annihilation.” Cairo Radio announced: “All Egypt is now prepared to plunge into total war which will put an end to Israel.” Radio Damascus exhorted: “Throw them into the sea.” Jordan’s king Hussein broadcast this to his army: “Kill the Jews wherever you find them. Kill them with your arms, with your hands, with your nails and teeth.” Throughout the streets of Damascus, Cairo and Amman the frenzied mob marched chanting: “idhbah, idhbah, idhbah, idhbah al-yahud” – (slaughter, slaughter, slaughter the Jews!) The world is stunned at the miracle of tiny Israel pushing off Goliath Arab attack. First Arab-Palestinian “intifada,” attacking Israeli civilians in all methods possible, sending its youth throwing rocks [that kill], the Arab-Muslim Palestinian children are being indoctrinated into a death cult of Jihadism and Shahidism. (Dr. Ahmed Yousuf Abu Halabiyah, member of the Palestinian Sharia [Islamic religious law] Rulings Council, and Director of Advanced Studies, the Islamic University, PA TV, July 28, 2000), October 2000: “Kill them all… we won’t leave a single Jew here.” (Young Girl, PA TV, Oct. 22, 2000), September 2004: “The Hour [of Resurrection] will not take place until the Muslims fight the Jews, and the Muslims kill them. The Muslims will kill the Jews, rejoice!” (Sheikh Ibrahim Mudayris, Head of Association for Memorizing the Quran, PA Ministry of Endowments & Religious Affairs, PA TV, September 10, 2004), January 2005: “…and the rock and the tree will say: Oh Muslim, servant of Allah, there is a Jew behind me, come and kill him!” (Dr. Hassan Khater, founder of Al Quds Encyclopedia PA TV, January 10, 2005). The result, not only did it slow down but it rather increased, Arab-Palestinian campaign of violence against Israeli civilians only stepped up mobilization, motivation rose, attacks intensified. Causing frustration among Israelis, Rabin is seen as endangering lives, which led a lone gunman to assassinate him later on. * When the Oslo Agreements allowed the Palestinian Authority (PA) to print their own resources, it opted to use the Jordanian texts in their original forms. This was the start of the process of incitement. The starting mottos was rewriting history, de-legitimizing Israel’s right to exist, “Palestine” is part of pan-Islamic nation. The Italian crew who filmed the crime was threatened by Arafat‘s people. The Flotilla was organized by the radical Islamic Turkish group IHH, tied to terrorism, Turkish president Mr. Erdogan who’s representing the Islamic party (linked to the Flotilla), was looking for some time to break his country’s alliance with Israel, he also objected to UN’s sanctions against Iran for not complying with regards to its nuclear program. A Flotilla “aid humanitarian peace activism” ship to the Kurdish victims of racist oppressive Islamic apartheid Turkey? A Flotilla ship to Kurdish victims of Islamic oppressive apartheid Turkey? Can someone send a Flotilla ‘humanitarian aid peace activism’ ship to the Kurdish freedom fighters against Islamic Apartheid racist Turkey? 5 Killed in Attack on Turkish Military New York Times – Sebnem Arsu June 22, 2010 Turkish police inspected the wreckage of a military bus after a roadside bomb killed four people and injured 15 on Tuesday in Istanbul. Rhetoric question, since when do Muslims care about their Palestine Arab “brothers”, all they can do is covert them into gameboys in propogating their agenda. Still think the Arab-Islamic lobby’s controlled UN cares about any victims when/if not pushed by that lobby? Think again. Oh, and the MSM? Were it not for the impact of the so called ‘angry Arab street,’ they wouldn’t be busy either. 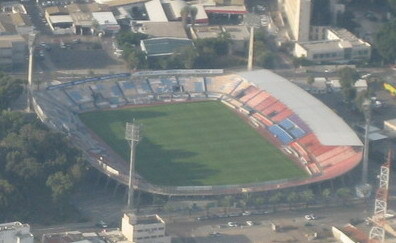 Arabs in Jerusalem, Israel were caught plotting an attack on an Israeli stadium during a soccer match in Dec. 2008-Jan. 2009. Al Qeada’s terror plot in World Cup, S. Africa – 2010 & Somali Jihadists attacking, murdering football fans for watching game. In the early 1970s the PLO is widely condemned for a series of hijackings bombings and killings most notably the kidnapping and killing of 11 Israeli athletes at the Munich Olympics. Arafats involvement in these events is unclear he refused to discuss such attacks though he denounced terrorism as a tactic. Who murdered the athletes of the Israeli 1972 Olympic Team in Munich? At 4:30AM on September 5, 1972, five Arab terrorists wearing track suits climbed the six and 1/2 foot fence surrounding the Olympic Village in Munich, Germany. Once inside, they were met by three others who had gained entrance with credentials. Within 24 hours, 11 Israelis, five terrorists, and a German policeman were dead. Just before 5:00AM, the terrorists knocked on the door of Israeli wrestling coach Moshe Weinberg who opened the door, realized immediately something was wrong and shouted a warning. Weinberg and weightlifter Joseph Romano attempted to block the door while their members escaped, but they were killed by the terrorists. The Arabs then rounded up nine Israelis to hold as hostages. At 9:30AM, the terrorists announced that they were Palestinian Arabs, and demanded that Israel release 234 Arab prisoners in Israeli jails and Germany release two German terrorist leaders imprisoned in Frankfurt. They also demanded their own safe passage out of Germany. After hours of negotiations, a deal was struck with German authorities and a trip to the NATO air base at Firstenfeldbruck, by bus and then two helicopters was arranged, in order to board a plane for Cairo. German sharpshooters were standing by with orders to simultaneously kill all the terrorists without harming the hostages. The rescue plan failed and a bloody firefight between the Germans and Palestinians followed, ending at 3:00AM when the Palestinians set off a grenade in one helicopter, killing all aboard, and terrorists in the second helicopter shot to death the remaining, blindfolded Israeli hostages. Three of the Palestinian Arabs terrorists were captured alive and held in Germany. On October 29, a Lufthansa jet was hijacked by Palestinian terrorists who demanded that the Munich killers be released. The Germans capitulated and the imprisoned terrorists were freed. Who were the Munich terrorists? The Munich operation was ordered by Yasser Arafat and carried out by Fatah, Arafat’s faction of the Palestine Liberation Organization (PLO). The mastermind of the massacre, Abu Daoud, admitted his role in his autobiography, Memoirs of a Palestinian Terrorist, published in 1999. Although this was said to be the first public acknowledgment that the PLO was behind Munich, Daoud himself essentially admitted this when under interrogation by Jordanian police in 1972. A SUICIDE bomb plot to kill thousands of soccer fans at Saturday’s Manchester United-Liverpool match was dramatically foiled yesterday. Armed cops seized ten terror suspects in dawn raids. 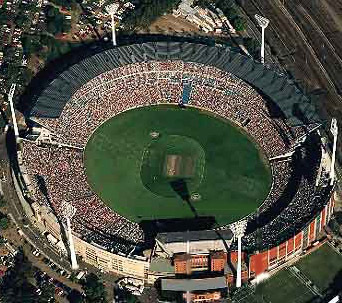 The Islamic fanatics planned to sit all around the ground to cause maximum carnage. They had already bought the tickets for various positions in the stadium, cops revealed last night. But armed cops foiled the horrific plot – which could have killed thousands watching Manchester United’s home game against Liverpool on Saturday – in a series of dawn raids yesterday. Ten people were arrested after a massive surveillance operation involving British anti-terror units and American authorities. A police source said: “The plot involved several individual bombers in separate parts of the stadium. The planned attack would have had an instant global impact as the game is being televised worldwide. More than 400 police swooped yesterday after a “major terrorist figure” under surveillance moved to Manchester. Police and intelligence organisations believe he came to direct the massacre, which would have been the first al-Qaeda-style outrage in Britain. Nine men and one woman were arrested — all Iraqi Kurds or from North Africa. Special Branch and the security services had been monitoring their movements and eavesdropping on mobile phone calls for months. The operation also involved the US National Security Agency and GCHQ, the Government’s intelligence listening post. Seven of the suspects were held in Manchester and one each in South Yorkshire, Staffordshire and the West Midlands. It is believed all have links to extremist Islamic organisations. They were being quizzed at separate police stations around North West England last night. But it was unclear whether any explosives or weapons had been recovered. Bombers planning the Old Trafford massacre would have run the risk of being searched going into the ground before the 3pm kick-off. Manchester United said away fans and those sitting in the higher tiers were frisked. The identities and details of the suspects remained top secret last night — even to many of those involved in the operation. One of the raids was at a flat above Dolphins takeaway in Upper Brook Street, near Manchester University. The area has a large ethnic community with many properties converted into bedsits. The three-storey Dolphins building was cordoned off along with next-door properties housing AK Computers and Funky Fones. Forensic experts in protective clothing moved in after the initial search teams. A police spokesman confirmed: “A number of search warrants were executed under the Terrorism Act 2000. Ten people have been arrested on suspicion of being concerned in the commission, preparation or instigation of terrorism. Greater Manchester’s Assistant Chief Constable Dave Whatton said: “It was an anti-terrorism operation that has been going on for some time and it will continue in the future. “This is the first action that the public have become aware of as it is overt. It is set against the background of an increased threat level across the country. Sheikh Mohammed bal Qadri, deputy director of a mosque in Upper Brook Street, said he did not believe any of his members were among those being held. He added: “Since September 11 we have been very vigilant, as mosques should be. “If I see a person who is new, I ask him why he is here and what he is doing and ask these kind of questions. “We are against these evil acts. In the religion of Islam we have tolerance.” The raids follow revelations last week that police in Manchester had raised their terror alert level. More than 50 officers were moved from regular duties to work on a task force committed to combating terrorism. Police have also conducted detailed surveys of land around Manchester Airport to identify sites which could be used to launch missiles attacks on aircraft. The would be suicide bomber caught at the Erez crossing on August 31 wearing an explosive belt sewn into his underpants planned to blow up at the Bloomfield Stadium in Jaffa during a football match three days later. In an interview on Channel 10, Mohammed al Razak said he had been approached by Hamas terrorists in Gaza who asked him to carry out the attack and had received two payments of $200 but said he was not a member of the Hamas. Razak – who lived for over thirty years in Jaffa and worked in Bat Yam, a Jaffa bakery and the central bus station in Tel Aviv – said that he was glad he had been caught, as he doubted he could have detonated the bomb when the time came. He refused to divulge the reason why he agreed to go ahead with the plan but cited family reasons. He said that he had walked two or three meters past the checkpoint at Erez when a female soldier called out to him to stop. Undergoing an inspection he told the soldiers he was wearing explosives when they questioned the bulky pants. THE leader of a home-grown terror cell that wanted to blow up the MCG has been jailed along with his followers. Homegrown terror cell leader Abdul Nacer Benbrika has been jailed for a minimum of 12 years under Commonwealth legislation, with a maximum of 15 years, and Aimen has received seven-and-a-half years. The five other men found guilty on terrorist charges last year received a range of minimum sentences. The criminality of the terrorist cell would have been greater had a witness been more believable, a judge said before the sentences were handed down. Justice Bernard Bongiorno told a packed Victorian Supreme Court that the seven men considered violent jihad an integral part of their religious obligations, often referring to themselves as mujahidin and talked about destroying buildings and killing infidels. The group’s aim was to pressure the Australian government to withdraw troops from Iraq, he said. Their trial heard the men had planned terrorist acts in Melbourne, including blowing up the MCG on grand final day and the Crown Casino. Justice Bongiorno said evidence of a plot to blow up the MCG would not be taken into account because the man who gave it could not be believed. He said Izzydeen Atik – who pleaded guilty to his terrorism-related charges – was a liar and a fraudster of significant accomplishment. “It is unlikely the jury accepted him as a witness of truth and indeed the court will not,” Justice Bongiorno said. “Had Atik’s evidence on the proposed targets been accepted, their criminality would have been significantly greater. He said terrorist acts in modern times were carried out by unskilled fanatics like Benbrika. Justice Bongiorno said Benbrika, a father of seven, had not renounced his beliefs. “All the evidence points to the conclusion that he maintains his position with respect to violent jihad,” he said. Justice Bongiorno said there was a need to protect society from criminals such as Benbrika. The court heard Benbrika, a former aircraft engineer, migrated to Australia from Algeria in 1989. He said terrorism was defined in legislation as the use of violence or the threat of violence to advance a political or ideological cause. Justice Bongiorno said Benbrika was an admirer of Osama bin Laden, and possessed CDs showing unspeakable acts of cruelty against innocent victims by Muslim extremists. He said Benbrika called non-Muslims the “Kuffar”, a derogatory term. Justice Bongiorno said an undercover operative, known as SIO39, went with Benbrika to a bush location, where a test explosion was carried out. The fact that Benbrika showed nonchalance over the explosion and failed to take up an offer from SIO39 to procure explosives could have been a result of his knowledge he was probably under surveillance by authorities. “Benbrika was cautious with SIO 39, this was in complete contrast to his dealings with members of his own group,” Justice Bongiorno said. The judge said in secretly recorded conversations Benbrika told another member of the group he wanted “to do something big”. According to Atik, who the judge said was a liar and social security cheat, targets were to include the Grand Final and possibly the Melbourne Grand Prix and the NAB cup. Justice Bongiorno said he was satisfied that much of the information provided by Atik about targets was false and self-serving and would not be used against members of the group. The seven were members of a terrorist organisation which was encouraging and taking some steps to carry out an act but they had not obtained or chosen targets. It did however, Justice Bongiorno said, gather Jihadi material and use material such as videos of beheadings to desensitise its members to the use of violence. “Had knowledge of these targets been proved their criminality would be consequencially greater,” the judge said. But the absence of a target did not mean they should not face punishment. Justice Bongiorno said the home-grown group saw themselves as brothers, bound together in the cause of violent jihad, and called themselves the Mujahidin. “They saw violent jihad as an integral part of their religious commitment,” Justice Bongiorno said. In his Supreme Court sentence the judge said the group’s spiritual leader, Abdul Nacer Benbrika, was a former Algerian aircraft engineer who came to Australia in 1989 because he felt there were problems in following his hardline religious views in his own country. Benbrika saw Australia as a land at war, and the judge said he was seen in the Muslim community as a learned man, but also as holding harsh religious views. Benbrika was often in conflict with other Muslim organisations in Melbourne and was excluded from the Preston mosque. The other members of the group came into contact with Benbrika, Justice Bongiorno said, through religious classes that were relatively benign. The judge said the men were involved in a terrorist organisation between July 2004 and November 2008 when they were arrested in simultaneous raids across Melbourne. The judge said the Criminal Code Act had covered a number of terrorism related offences. The law was designed to deter terrorism and the use of violence to further political or religious aims and said other courts had found crimes of terrorism deserved punishment. Benbrika, a father of seven, may have been less than expert as a terrorist but that did not matter, the judge said. He had enormous influence over his young followers and sought to instill a hatred of non Muslims, and Muslims who did not believe in his extremist views. The judge said Benbrika’s lawyer argued that his client showed little ability to direct anything and was not a leader in any real sense. But the judge said the group may have been embryonic and Benbrika’s leadership less than it would have been a trained solider or trained terrorist but that mattered little. It was the existence of the group and its aims and Benbrika’s encouragement for its members to take part in terrorist acts that formed the offences of which he had been convicted. Justice Bongiorno said ineptitude did not excuse Benbrika’s actions and overseas experience of terrorism showed that terrorists were often not highly skilled or able to carry out highly effective operations. Rather, said the judge often the principal attribute of terrorists was being a fanatic. Justice Bongiorno said a psychiatrist had said in a report to the court that Benbrika was a fanatic who was still a believer in violent jihad and had said his group should adhere to their views, even in jail. The most serious charge against Benbrika was directing a terrorist organisation, the judge said. But it would be hard to direct an organisation without being a member of it and the sentences on these two charges should be concurrent. The court must impose a sentence that is just, Justice Bongiorno said, but took into account the need to deter others from engaging in similar conduct. . The trial commenced in early February and the verdicts were handed down in September. The judge said being a member of terrorist organisation carried the maximum penalty of 10 years and most of the other charges carried a maximum of 25 years. “All of the evidence points to the conclusion that he (Benbrika) maintains his position with respect to violent jihad,” the judge said. Aimen was described as a devout Muslim and his criminality as being part of a terrorist organisation was the same as Benbrika’s or slightly less. Aimen undoubtedly took a leadership role and was instrumental in raising money for the group from rebirthing stolen cars. But the judge said he could not find beyond reasonable doubt that the proceeds from the stolen car racket would have been used to buy weapons. However the money in the group’s “sandooq” was to be used to further its terrorist aims. “There is no evidence before the court he has abandoned violent jihad,” the judge said. 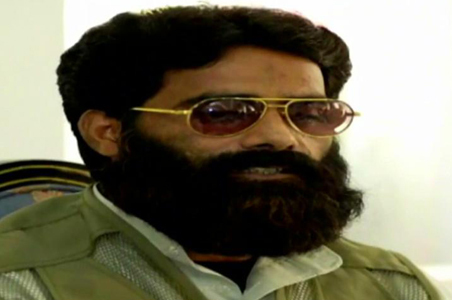 According to reports before the court he was still a committed terrorist and this had to be taken into account when considering protection of the public and the prospects of rehabilitation. Sayadi, according to his counsel, played a lesser role than others, but Justice Bongiorno said the evidence showed he played a number of roles in the group. The judge said Sayadi provided materials to the group including materials praising the terrorists who carried out the 9/11 attacks on the World Trade Center in new York. He also acted in a security role. A consultant forensic psychologist said Sayadi did not accept he had been a member of a terrorist organisation and was suffering from depression. He continued to protest his innocence but there was no evidence he had changed his jihadi views. Abdullah Merhi, was one of 10 children of Lebanese immigrants and was a father of one. He played fotball for the Fitzroy Lions. His wife gave a testimonial to the court which spoke of his qualities as a husband and a father, the judge said. In letters to prison authorites Merhi said he was opposed to violence and opposed to the killing of innocent people, but the judge said they were self-serving and little weight could be given to them. They did not show his state of mind at the time he committed the offences, and it was an element of the crime that the member of a terrorist organisation knows its aims. Justice Bongiorno rejected a defence contention Merhi had rejected extremist views and moved away from Benbrika’s adherence to violent jihad. Their marathon six-month trial heard that potential targets included the 2005 AFL Grand Final at the MCG, railways stations and other public places where they knew large numbers of innocent people would gather. Four other men who faced trial were acquitted and one faces a retrial. In a secretly recorded conversation between the group’s spiritual leader Benbrika and one of his followers, Abdullah Merhi, Benbrika said they were not talking about “one or two or three” deaths. Prosecutor Richard Maidment SC told the jury this was a reference to the terrorist attacks on Spanish trains in 2004 where 191 people were killed and 2000 were injured. In another conversation Merhi asked Benbrika if killing their innocent victims would be pleasing to Allah. “You are pleasing the Almighty,” Benbrika replied. Benbrika gave them permission to kill women, children and the elderly in pursuit of violent jihad. In the tape played to the court Merhi said:”If John Howard kills innocents… Muslim families… do we have to kill him?”. Mr Benbrika says that he can only tell him what Allah says. Guilty of intentionally directing the activities of a terrorist organisation, knowing that it was a terrorist organization. Guilty of possessing a CD connected with the preparation of a terrorist act. BETRAYED BY THEIR OWN March 2003: Australia commits troops to fight beside the US and Britain in the ground invasion of Iraq. Militant Muslim cleric Abdul Nacer Benbrika believes this makes Australia a land of war and a fair target for a home-grown terrorist attack. July 2004: After a tip-off from within the Melbourne Muslim community, ASIO and Victorian and federal police establish Operation Pendennis to investigate Benbrika and his followers. Extensive electronic and physical surveillance of Benbrika and followers eventually collects 16,400 hours of recordings from bugs and 98,000 telephone intercepts. July 2005: Police raid a number of homes of some group members who had been stealing cars to fund their terrorist plans. Their trial is later told the raids disrupted plans to mount an attack on the AFL Grand Final at the MCG two months later. 1, the speaker “describes the barbarism exhibited by China towards Muslims and East Turkistan, justifying the jihad that is declared against the..
As though the Olympics weren’t already in enough trouble, now a militant Islamic group has declared jihad against the games. A MILITANT Islamic group has threatened to attack the Beijing Olympics with suicide bombers and biological weapons and has claimed responsibility for a string of fatal bombings and explosions in China over recent weeks. In a video released by IntelCenter, a terrorism monitoring group, a bearded man identified as Commander Seyfullah is seen reading a declaration of jihad against the Olympics and warns athletes and spectators, especially Muslims, to stay away. A Muslim separatist group in China has made a new video threat against the Beijing Olympics, warning Muslims to keep their children away from the Games. The US-based IntelCentre, which monitors extremist groups, says the six-minute video shows flames consuming a Beijing Olympics logo and an explosion over a venue for the competition. It also features a masked, turbanned speaker carrying what appears to be an assault rifle. IntelCentre says the video’s been attributed to the Turkistan Islamic Party, an ethnic Uighur and Muslim organisation seeking an independent homeland in Xinjiang province. The group has claimed responsibility for a deadly bus bombing in Shanghai three months ago, and has warned of more attacks during the Olympics. KUQA, China – Assailants using homemade bombs launched a series of attacks and engaged police in a deadly battle Sunday in a western Chinese city far from the Beijing Olympics, state media said. At least seven attackers and one security guard were killed. Mussa Hamada and Basem Omri, both Israeli citizens, were arrested for allegedly collecting weapons and scouting for launching spots around Jerusalem’s Teddy stadium. The Shin Bet security service has arrested two Palestinian residents of East Jerusalem suspected of plotting to fire rockets at a major sports stadium in the capital on behalf of Hamas, a gag order lifted Sunday revealed. Mussa Hamada and Basem Omri, both Israeli citizens, were allegedly planning to carry out the attack on Teddy Stadium during a Premier League soccer game, but the plot never came into fruition. Both suspects have allegedly been affiliated with terrorist activities organized by Hamas and the Muslim Brotherhood for a number of years. Their involvement in planning terror attacks began after Israel’s offensive on the Gaza Strip two years ago, according to the Shin Bet. The two had apparently been scoping out the hills around Teddy Stadium to find a spot from which to launch the rocket and had been gathering information about security in the area, said the Shin Bet. The Shin Bet said that the suspects had already collected a number of pistols and were working up to a cache of additional weapons and explosive materials to create the rocket device. The security service arrested at least three Palestinian residents of East Jerusalem also suspected of taking part in the sale and purchase of these weapons. Hamada apparently met with other Islamist activists a number of times over the last few years in Saudi Arabia, the investigation revealed, where he acquired money and the pistols for his terror activities. The Jerusalem District Court indicted both Hamada and Omri on charges including membership in a terrorist network, illegal possession of weapons and conspiracy to commit a crime. JERUSALEM — Israeli police and agents of the Shin Bet security service have arrested five Arab men suspected of involvement in a plot to fire a rocket into a Jerusalem football stadium, the agency said on Sunday. A Shin Bet statement said that two of the men, Mussa Hamada and Bassem Omari, had for several years been active in the militant Islamic movement Hamas and the Muslim Brotherhood in Jerusalem. It said they received support from the Muslim Brotherhood in Saudi Arabia. The two were formally charged on Sunday with “membership in and support for a terrorist organisation, firearms offences and conspiracy to commit a crime,” the statement said. Three other men have already been charged with trafficking in weapons, it added. The Shin Bet said Omari, a resident of the east Jerusalem neighbourhood of Beit Safafa, is an Israeli citizen. Hamada and the three accomplices were described as residents of east Jerusalem, a term used to describe Palestinians authorised to live in Jerusalem but who do not have Israeli citizenship. The statement released Sunday was the first news of the arrests, which the agency said were made in November. It said the suspects began plotting an attack after Israel’s December 2008-January 2009 “Operation Cast Lead” offensive in Gaza, and had planned to target the 21,000-capacity Teddy Stadium during a football match. “From their Shin Bet interrogation it transpires that after Operation Cast Lead the two began to plan a terror operation in Jerusalem, as part of which they examined the possibility of firing a missile at Teddy Stadium while a game was in progress,” the statement said. “The two went to a ridge overlooking the stadium in order to select the best place for an attack and carried out reconnaissance of the area, although the planning was not translated into action,” it added. The statement said the men had bought several pistols and were trying to acquire a rifle and explosives. It said that during the past two years Hamada made several visits to Saudi Arabia, where he met a local member of the Muslim Brotherhood. “During one of the meetings, the Saudi representative gave Mussa Hamada money for the purchase of weapons and asked in return that he gather information on Jerusalem,” the statement said. Very few of them hold Israeli citizenship although Palestinian residents of the city enjoy special status which allows them free movement throughout Israel, unlike their brethren in the West Bank. Jerusalem (CNN) — Five members of Hamas were charged Sunday with planning to fire a rocket into a Jerusalem stadium during a soccer game, Israeli police spokesman Mickey Rosenfeld said. The five were arrested in November, Rosenfeld said. According to a statement from Israel’s security service, the Shin Bet, the two main suspects were identified as Mussa Hamada of East Jerusalem, and Bassem Omri, an Israeli citizen living in Beit Tzafafa. Both are members of Hamas and the “Muslim Brothers” movement in Jerusalem, the Shin Bet said. The pair are suspected of planning terrorist attacks following Israeli airstrikes on the Gaza Strip in 2008, the statement said. One of the possibilities they considered was possibly firing a missile into the soccer stadium in Jerusalem during a game. Three other Palestinians were charged with selling them pistols, Shin Bet said. Staffers charged with helping 2 e. J’lem men obtain guns in connection to plot to fire missile into Teddy Stadium. Two employees of the British Consulate General in Jerusalem have been charged with weapons trafficking in connection to an alleged Hamas plot to fire a missile into the capital’s main soccer stadium, Reuters reported. A British Foreign and Commonwealth Office spokesman confirmed the arrested and said that Britain was seeking confirmation of the charges immediately. “We have been told by the Israeli authorities that the investigation into our two employees is unrelated to the work they do at the consulate,” the spokesman told Reuters. The Shin Bet (Israel Security Agency) said that the consulate employees aided the the plotters of the attack in obtaining guns. The plotters are two east Jerusalem Arabs, Musa Hamada from the Sur Baher neighborhood and his friend Bassem Omeri, an Israeli citizen from Beit Safafa. According to details of the investigation released for publication on Sunday, the two men collected intelligence on Teddy Stadium, the home of Betar Jerusalem, with the goal of firing a missile into it during a game. The pair allegedly began plotting the attack following the IDF’s Cast Lead offensive against Hamas in the Gaza Strip two years ago. They visited a number of hilltops near the 21,600-capacity stadium in the capital’s south to study possible launch sites for the attack, likely to be carried out with an anti-tank missile. The attack did not materialize, however, after the two concluded that it was too complicated. Hamada and Omeri, the Shin Bet said, also bought a number of handguns and tried to procure rifles and bombs. Other Arab residents of Jerusalem were involved in purchasing the weapons, and they have also been arrested. (AP) A Chicago cab driver was charged Friday with attempting to provide funds for explosives to al Qaeda and discussing a possible bomb attack on a stadium in the United States this summer, according to a federal complaint. 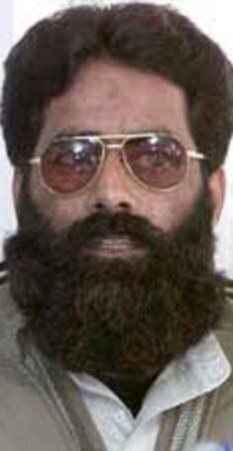 March 25, 2010 – Illinois – Raja Lahrasib Khan, a naturalized U.S. citizen from Pakistan, is charged with providing funds to an alleged terrorist leader in Pakistan and for planning to bomb a U.S. stadium. Khan is arrested the following day. Baghdad (dpa) – A Saudi army officer was arrested in Iraq Monday for past attacks and for involvement in an alleged al-Qaeda plot targeting the World Cup events in South Africa, an Iraqi military spokesperson said. Saudi Colonel Azzam al-Qahtani, also known as Sanan al-Saudi, entered Iraq in 2004 and is believed to have been involved in attacks on religious sites in Karbala and Najaf, Iraqi General Qassem Atta said. He is accused of cooperating with Ayman al-Zawahiri, al-Qaeda’s second in command, in planning attacks on the World Cup events in South Africa, which begin in June. A senior Al Qaeda militant suspected of planning an attack targeting the soccer World Cup in South Africa next month has been detained, an Iraqi official says. Maj. Gen. Qassim al-Moussawi, a spokesman for Baghdad security services, says the militant was an officer in the Saudi army. Abdullah Azam Saleh al-Qahtani is suspected of planning a “terrorist act” in South Africa during the World Cup beginning June 11, al-Moussawi said at a press conference on Monday. He added that al-Qahtani entered Iraq in 2004 and is suspected in several attacks in the capital and elsewhere in the country. Al-Moussawi said the 30-year-old Saudi national, who was in charge of “security” for the terror network in Baghdad, was in contact with Al Qaeda number two Ayman al-Zawahiri to “organize the plan,” AFP reported. Islamist militants belonging to the Hezbal Islam rebel group have killed two football fans and arrested 10 others after attacking a house where World Cup fans were watching a hotly-contested game between Argentina and Nigeria in the Huruwaa neighborhood north east of the capital Mogadishu late on Saturday. Residents say that heavily armed militants stormed a house where World Cup fans were secretly watching the football competition which was prohibited in Islamist controlled regions in Somalia. “Two young men who tried to jump over the wall were shot and killed while 10 others including my husband and my teenage son were taken into Islamist custody in the village,” Halima Ahmed, a mother of five children said in a telephone conversation on Sunday morning. Islamist militia leader Sheik Mohamed Abu Abdalla said that those in custody have broken and Islamic rule and will be dealt with in accordance with Islamic law. Prior to the World Cup opening, the Islamists in Somalia warned people against watching the World Cup, saying that it was not compatible with Islamic law and that those who were caught watching it would be brought before the Islamic court. “Football descended from the old Christian cultures and our Islamic administration will never allow watching what they call the FIFA World Cup. We are sending our last warning to the people,” Sheik Abu Yahya Al Iraqi said, addressing crowds in the Suqa Holaha village north of Mogadishu, hours before World Cup kick off Friday. President of the Somali Football Federation, Said Mahmoud Nur, who was reached for comment while in South Africa, said that he couldn’t talk about the matter because of security reasons. Meanwhile, residents in the southern Jubba regions have sent a complaint letter to the Al Shabab administration in the regions demanding permission to watch the world’s largest sporting event. Reports say that representatives from the community including elders went to the Al Shabab administrative office in the southern key port town of Kismayo Saturday demanding an acceptance of watching the World Cup, but were denied and told that they would be arrested if they came back with a similar demand. How to be a bigot under the guise of a "critic of Israel"
Try and substitute ‘anti-Zionist’ instead of anti-Jewish, at least make sure, your references convey such messages. Avoid all humanitarian aspects of Israel’s extraordinary humane army in its constant fight against Arabs who trick them into firing upon civilians, ommit all the risky steps Israeli soldiers take in going house to house searching for bombs/bombers, instead of just leveling the place down (if Zionists were not caring about civilians), the repeated notification for residents to leave a certain area ahead of anti-terror operations, in order to give a chance for the unarmed to leave, despite, taking into account that with this opportunity, the dangerous Arab-Islamic mass murderers terrorists might flee as well. Don’t ever mention that Israel goes out of its way in treating Israeli Arabs with affirmative action on campus and in employment, besides favoring the Arab side in most court cases. All rare abuses that might occur in any democratic police force around the globe, when in Israel, see to it, you highlight it, again and again. As a general rule, your mission is to dehumanize Israelis, though you’d have an easier job on Israeli soldiers, try to broaden it on ALL Israelis, like "they are all occupying land." including the preferred targets by Arabs, a.k.a. the children. Because only the Arabs have mothers, there are virtually no mothers in Israel, nor kids, each and everyone is a tank or a machine gun, and if someone points out to your racism, object with a passion that you are actually "anti-racist." Keep repeating a sad song about "injured children," make it sound really sad, depending on your acting abilities you might want to show as if you care, keep arguing along the line of: "whoever has lost more lives ‘got to be the victim," avoid getting into the dark cult of that self inflicted Palestine/Hezbollah’s death industry, never explain how come their parents are converting them (to die or at least to be maimed) into propaganda toys against Israel’s image. Because there are no victims on the Israeli side, its hospitals are always empty, 27/7 365 days a year. Go "pro." Leave the "anti" out, especially when appearing on camera. Titling is almost the first thing about Pallywood or Hezbollahwood propaganda. Though we all know there exist none real ‘pro-Palestinian,’ your job is to appear as if you are, it makes you appeal better as "innocent" and as an "activist." Always, without exception, Prejudge (prejudice) Israel before you know the facts. When mentioning the children, grandchildren of Arab immigrants, make sure to call them "indigenous palestinians." Never point out the culprit of Arab civilian deaths, facts don’t matter, image does (ask those Palestinian-Arabs that pose to cry only when the camera is pointed at them… or Hamas that refuses aid when Israel checks the content of a ship). Also, make terrorism a tiny bity part, and of course, needless to say that you cannot let the awful truth of ‘anti-Israel campaign of genocide since 1929 Hebron’ –(all the failed attempts to wipe Israel off, ‘Kill the Jews for Allah’ and throw the Jews into the sea)– ever be heard. Make Islamic Hamas & Islamic Hezbollah sound as "freedom fighters" and as "resistance" to the Zionist "occupation." Don’t talk about their charter of eradicating Israel and establishing a (totalitarian) Islamic rule in the entire area, oppressing all, especially non Muslims, mentioning this will only harm your goal. Try to insert bombastic terminology, like: Racism, apartheid, that every survival step Israel ever takes, is "racist"… it "works" mighty well, especially against the always guilt-ridden self-critic Jews that you hate so much. Never-mind that the real racism is on the Arab Islamic side that target any Jews for being Jewish and all (Arabic side of) Palestine zone is virtually ethnically cleansed ‘judenrein.’ Not to mention the overall racist Apartheid by almost the entire Arab and Muslim world against the tiny Jewish state (take a test and use an Israeli passport in the middle east… not to mention in the Arab hijacked UN and in other international forums, where persecuting little Israel is a routine, or what’s up with excluding Israel’s ‘Star of David’ ambulance from the ICRC? Are Jews’ blood not red enough in racist Arabs & in Muslim bigots’ eyes?). When being an Arab racist, and/or an Islamic bigot (the foundation of anti-Israelism by these racial/ethnic and ‘religious’ hatred) try to cover it well, for instance, replace "existence" of Israel which you are against (a. k. a. ethhic cleansing or worse, genocide), with "occupation," many fall for it. If you are an average Arab Muslim that hates Arab Palestinians, hide it and pose as "pro palestinian" and that you "ache" for the poor refugees." even though you have a;; the interest in the world for Arab-Palestinians to be suffering, more importantly, that they’re seen as victims, it’s the ingredient of utmost importance in the anti-Israel campaign. The above message is not referring to the real genuine critics of one Israel’s policy or another, nor is it to the gullible, mislead, misinformed, but to the average phony "critic" real hater that is obsessed with Israel, singling it out, and prejudge it, never giving it the light of day. Turkey? We all know that the current Islamic party’s Mr. Erdogan was looking for an excuse to go against Israel, especially since the Gaza operation, the Flotilla Jihad boat incident only helped him in his anti-Israelism campaign. The surprise might have been that Brazil was so involved and voicing against the sanctions. The interesting part was that Lebanon, the home of Iran’s Hezbollah abstained while Brazil objected, Ever thought that Brazil would be more Islamic-appeaser than Russia and China, or worse, being on the opposite side of those nations on a radical-Islam’s issue? We have to keep in mind that Arabs in Brazil have a "representation" of over 1.5 Million, mostly from Syria and Lebanon. Hence, from the fallout in the UN you can see the power of Iran / Hezbollah in Brazil, far greater than in Lebanon. One expression of affinity with the Islamic world in recent years, came out in the form of a soap-opera (telenovela) called ‘O Clone,’ the Clone, which ran for a long time. (WSJ) RIO DE JANEIRO — As the world turns — possibly toward a clash with Islam — a prime-time soap opera on Brazil’s most popular channel has people hooked on the troubled romance between a Muslim woman and a Catholic man. Soon, people in the U.S. will have the chance to get addicted, too…. * Brazil (Rio, more than Sao Paolo, though the region Bras (for instance) is very heavy occupied by Arab merchants). * TBA, Tri Border Area of Paraguay – Brazil – Argentina (famous Hezbollah base). * Venezuela, many Arabs have financed Hugo Chavez. * Colombia (especially in the region bordering with Venezuela). * Between Panama (there was a Hezbollah linked 1994 bombing of an airline in Panama) & Costa Rica (some Hezbollah "activists" have used the central America line to enter the States (A.K.A. ‘Panama-CostaRica-Nicaragua-Honduras-ElSalvador-Guatemala-Mexico-US’, for instance, some Iranian Hezbollah tried to get into Costa Rica with Venezuelan passports… and we all know about Chavez’s passports issuing for Iranians, even Somalis have been caught in Panama’s Darien last year, trying to sneak in the area, in another time, some Somalis have been seen wondering-about in Tapachula – Mexico, P.S. Somali terrorists Islamists al-Shabab are allied with Hezbollah). A- Muslims still have a stronghold among the overall Arab population, (especially when they seek to come out as "Arab heroes." evoking Arab longing/tradition of Salahdin, keep that picture in mind and understand a Lebanese Arab’s willingness to support Hezbollah when approached…) B- Some "christians" care more about supporting Muslim issues than for any Christians anywhere, some have called them "IslamoChristians." This is not to say that some Arab Christians are not real, honest and pro west. That old racist (Lebanese) Arab woman Helen Thomas’ ethnic cleansing view reflects the ‘conflct of the middle east’ Arab racism & Islamic bigotry that is. Take a good look at this moderate Arab and tell me it’s not about Arab racism. Now, let’s hear some radical liberals defending the Arab Muslim bigotry with occupation and poor palestinians slogans. The same radical liberals that couldn’t care less what the Islamic Palestine or Hezbollah have in store for them, exactly what kind of Islamic states are in line with liberals’ supposed claim for defending human rights, or even women’s rights? I guess, that Palestinian crimes against humanity like torturing fellow “rivals,” honor killing epidemic and oppressing Christians are OK with liberals’ values. Not to mention the total fear in totalitarian like Palestine for speaking out, unlike in democratic free Israel, there’s virtual no freedom of the press or speech. That’s besides Palestinian & Hezbollah’s routinely horrindeous crimes like taking the lives of their civilians for no more as toys in their games of bloodshed, in use of war. Now, let’s here some radical liberals defending the Arab Muslim bigotry with occupation and poor palestinians slogans. Re: racist Arab Helen Thomas, Arab-Palestinians get back to ARABIA where they came from? Re: Arab Helen Thomas, Arab-Palestinians get back to ARABIA where they came from? Thomas knows that she could never say the blacks should go back to Africa or the Hispanics should go back to Mexico, she would ruin her over-celebrated reputation as the “dean” of the White House press corps. What if someone would copy this Arab woman Helen Thomas, and has said that the Arab ‘Palestinians’ should get the heck out of Judea & go back to Arabia? The True Identity of the So-called Palestinians. The current myth is that these Arabs were long established in “Palestine”, until the Jews came and “displaced” them. The fact is, that recent Arab immigration into the Land of Israel displaced the Jews. That the massive increase in Arab population was very recent is attested by the ruling of the United Nations: That any Arab who had lived in the Holy Land for two years and then left in 1948 qualifies as a “Palestinian refugee”. The Determinants of British Policy… Matters improved with the departure of Lieutenant General Sir Louis Bols on 30 May 1920, the ending of the military adminidstration and the appointment of Sir Samuel as the first British High Commisioner for Palestine. However, under constant pressure from British pro-Arab spokesmen and officials, relations between Britian and the Jewish Zionists deteriorated steadily. A Very good exaple of virtuallly general anti-Zionist bias of successsive British mandatory adiminstrations would be the virtual continuation of the Ottoman policy of supporting or at least condoning non-Jewish illegal [p. 31] immigration to Palestine. In contrast to the near universal and general condemntation and confrontation with Jewish illegal immigration. As a buffer against the Bedouin the Ottomans had already brought the first Circassians from the Caucasus to Palestine in 1878. These truculant habitual warriors had been settled by the Turks as irregular garrisons on the desert fringes, allowing them to occupy and cultivate land, and thus hold back the nomad Arabs, who neither paid tax nor tilled the land at any time. Egyptian immigrants were settled by Ibrahim Pasha in Jaffa, Acre, Nablus and Beisan, Moors and Kurds settled in Safed, while the Arab tribes of the Wulda, Bu Sheille, Lheib and Adwquat, having been defeated in tribal wars and raids, entered Palestine at about the same time as the first Jewish settlers arrived. These Arabs cannot be considered indigenous to the land and neither can the Turks, Kurds, Moors, Algerians, Egyptians and Circassians imported by the Turks as aprotective force. The virtually generally accepted British claim of an overwhelming Arab indigenous population, settled for a thousand years in a crowded Palestine, whe were in danger of being swamped and displaced by the Jews was, therefore, considered by the more extreme Zionists to be a rewriting of history. In addition to increase in recorded immigration, a number of persons are known to enter Palestine illegally from both adjacent and European countries and remain there permanently. Considerable Arab immigration was indeed proceeding without restriction or record from such areas as Syria, Egypt, Trans-Jordan and Lebanon. There has been some immigration from the surrounding territories, which, since it avoids the frontier controls, is not recorded. Jewish illegal immigration was minutely detailed and meticulously recorded but all references to Arab illegal immigration were, perhaps deliberately, obscured. The preponderant concentration on the Jewish illegal immigration overwhelemd and negated all record of the parallel Arab traffic. http://books.google.com/books?id=LsgnW34jp90C&pg=PA31&dq=arab+immigration+palestineWho are the Palestinians and who is occupying what? The word plesheth meant migratory referring to the migration of the Philistines into the sea coast of Israel. So the Palestinians of 3000 years ago were, in fact, the Philistines. The Philistines were not native to Israel, in fact, as their name implies, they came from somewhere else. Most scholars agree that they came from the Greek Islands, most likely Crete. Obviously, they did not speak Arabic and they were not Semitic like the Jews and Arabs. The Arabs came from guess where?–Arabia. Even the Palestinians themselves have acknowledged their association with the region came long after the Jews… Over the last 2,000 years, there have been massive invasions that killed off most of the local people (e.g., the Crusades), migrations, the plague, and other manmade or natural disasters. The entire local population was replaced many times over. During the British mandate alone, more than 100,000 Arabs emigrated from neighboring countries and are today considered Palestinians. By contrast, no serious historian questions the more than 3,000-year-old Jewish connection to the Land of Israel, or the modern Jewish people’s relation to the ancient Hebrews. there was no geopolitical entity called “Palestine,” no Arab nation ever set historical roots on this soil and no national claim was ever made to the territory by any national group other than the Jews. Under the Mandate, the Jewish population continued to grow but while their immigration was progressively restricted, that of Moslems from the surrounding countries (Syria and Jordan) was completely free. As a result, attracted by the Jewish development of the country, the Moslem population increased rapidly and had attained majority by 1947. Palestinian Arabs Never a Nation “Palestinian” Arab nationalism today is a product of recent political and religious currents. Until the 1920’s no such national community had even existed in “Palestine”. This is why both the Balfour Declaration and the League of Nations Mandate charged the Jews of the National Home with guaranteeing the civil and religious rights of other inhabitants. No mention was made of other national rights of other inhabitants, as it was recognized that the only national claim to the area was that made by the Jews. Palestinian people do not exist! They love to say her statement is patently false – an intentional lie, … The Palestinian people does not exist. In this essay I would like to present the true origin and identity of the Arab people commonly known as “Palestinians”, and the widespread myths surrounding them. This research is intended to be completely neutral and objective, based on historic and archaeological evidences as well as other documents, including Arab sources, and quoting statements by authoritative Islamic personalities. There are some modern myths -or more exactly, lies- that we can hear everyday through the mass-media as if they were true, of course, hiding the actual truth. For example, whenever the Temple Mount or Jerusalem are mentioned, it is usually remarked that is “the third holy place for muslims”, but why it is never said that is the FIRST Holy Place for Jews? It sounds like an utterly biased information! ·2) Myths and facts regarding Jerusalem and the Land of Israel. “Why is it that on June 4th 1967 I was a Jordanian and overnight I became a Palestinian?” “We did not particularly mind Jordanian rule. The teaching of the destruction of Israel was a definite part of the curriculum, but we considered ourselves Jordanian until the Jews returned to Jerusalem. Then all of the sudden we were Palestinians – they removed the star from the Jordanian flag and all at once we had a Palestinian flag”. “When I finally realized the lies and myths I was taught, it is my duty as a righteous person to speak out”. This declaration by a true “Palestinian” should have some significance for a sincerely neutral observer. Indeed, there is no such a thing like a Palestinian people, or a Palestinian culture, or a Palestinian language, or a Palestinian history. There has never been any Palestinian state, neither any Palestinian archaeological find nor coinage. The present-day “Palestinians” are an Arab people, with Arab culture, Arabic language and Arab history. They have their own Arab states from where they came into the Land of Israel about one century ago to contrast the Jewish immigration. That is the historical truth. They were Jordanians (another recent British invention, as there has never been any people known as “Jordanians”), and after the Six-Day War in which Israel utterly defeated the coalition of nine Arab states and took legitimate possession of Judea and Samaria, the Arab dwellers in those regions underwent a kind of anthropological miracle and discovered that they were Palestinians – something they did not know the day before. Of course, these people having a new identity had to build themselves a history, namely, had to steal some others’ history, and the only way that the victims of the theft would not complain is if those victims do no longer exist. Therefore, the Palestinian leaders claimed two contradictory lineages from ancient peoples that inhabited in the Land of Israel: the Canaanites and the Philistines. Let us consider both of them before going on with the Palestinian issue. The Myth Of The Palestinian People – The answer is that the myth of the Palestinian People serves as the justification for Arab occupation of the Land of Israel. While the Arabs already possess 21 sovereign countries of their own (more than any other single people on earth) and control a land mass 800 times the size of the Land of Israel, this is apparently not enough for them. They therefore feel the need to rob the Jews of their one and only country, one of the smallest on the planet. Unfortunately, many people ignorant of the history of the region, including much of the world media, are only too willing to help. The Smoking Gun: Arab Immigration into Palestine, 1922-1931 – Middle East Quarterly. WHY DID THE ARABS FLEE IN 1948? “The Arab armies entered Palestine to protect the Palestinians from the Zionist … they were not indigenous. That Palestine was not their ancient homeland. It was in fact British colonial machinations that turned initial Arab acceptance of a Jewish homeland in British-protected Palestine into unmitigated and disastrous hostility. British behavior in the Middle East in general, and in Palestine in particular, was common colonial practice: divide and rule. In India, it enabled the British to subdue the subcontinent with few troops by pitting hostile segments of the indigenous population against each other. They employed this strategy in Palestine too. From the very first days of the mandate, a group of very influential British officials in the Colonial and the War Offices, who wanted to maintain control over the land and to prevent the establishment of an independent Jewish national home, started undermining their government’s efforts to fulfill its obligation toward the Jews. These British officials, many of them avowed anti-Semites, fanned Arab resentment over broken British promises to make the Arabian chieftain, Faisal, king of Damascus and Syria, and redirected it against Jewish aspirations in Palestine. Indeed, their naming the mandate over the Holy Land “Palestine,” rather than the land of Israel, was a deliberate effort to obliterate the Jewish connection to the land by calling it by its Roman name. They also, in 1923, unilaterally removed from the original mandatory area all the land east of the Jordan River-75 percent of the territory promised to the Jews — and gave it to the Emir Abdullah of Arabia, Faisal’s brother, in compensation to the Hashemite family for other broken promises. They did so despite objections from the League of Nations. The small area that had been designated as a home for the Jews was thus reduced to a mere sliver. A distinct Palestinian Arab nationalism evolved only after the dream of an Arab Syrian kingdom — the brainchild of T. E. Lawrence — was shattered when the French evicted his protégé, the Emir Faisal, from Damascus in 1920. Only then did the South Syrian Arabs living under Britain’s Palestine mandate separate themselves from Syria and start defining themselves as Palestinians. The process was accelerated by their growing negative reaction to the League of Nations’ designation of Palestine as a Jewish national home. The British helped make hostility to Zionism the defining issue of local Arab politics, and assisted in its exploitation as a lethal weapon in bloody Arab inter-clan struggles for dominance. Muslim clerics and Arab effendis exploited hostility against the Jews, always convenient scapegoats, to deflect the rage of their destitute, exploited people. The verbal Jihad legitimizes all means of demagogical rhetoric, spiced with shameless deception, just as the military Jihad legitimizes all forms of atrocious terrorism to undermine the existence of Israel. In both pursuits, the intent is to advance the “holy” cause of denying the Jewish heritage. Pursuing the “glorious” tradition of verbal Jihad, some fervent advocates of the Palestinian cause contract 4,000 years of the unique Jewish bond with the Land of Israel to merely 500 hundred years of past Jewish kingdoms. There has never been a 2000 year absence. Jews have lived in Israel/Palestine for 4000 years and those Jewish families who have constantly lived in the country since Biblical times, the mustarabim, are the indigenous Palestinians. 1920/1. The first Palestinian refugees were Jews. In the aftermath of WWI, British rule in Palestine supplanted 400 years of Turkish rule and a British administration was installed, headed by Ronald Storrs, governor of Jerusalem, and the Chief-of-Staff Richard Waters-Taylor. A week before Easter, Waters-Taylor, with the blessing of Storrs, had made a secret agreement with local Arab nationalist leaders to conduct bloody riots against the Jews of Palestine to show the world just how unpopular Zionism was. (See Benjamin Netanyahu’s A Durable Peace under the chapter “Betrayal.”) During the Arab pilgrimage to the site of Nebi Musa, believed by Muslims to be the burial place of Moses, the Arab masses were whipped into a frenzy and began to riot. This spread throughout the whole of the country beginning in Jerusalem. Their excuse to the world at large was that they were acting out their ‘legitimate’ grievances against the massive Jewish immigration into the country, fostered by the ‘lax’ British policy. What they conveniently ignored was the massive Arab immigration into the country brought on by the economic opportunities introduced by the Jews. In fact, in the 30’s, President Roosevelt was reported to have commented that Arab immigration to Palestine far exceeded that of Jewish immigration (See A Durable Peace.) In any case, these riots were tame when compared to later riots. Seven Jews were killed, 200 wounded and women were raped. There were partial expulsions from various areas, such as from east Jerusalem, Jaffa, Gaza, and the tiny Jewish community of Khan Yunis, which consisted of just a few families. A total expulsion occurred from Lod. Many just left fearing more of the same, which indeed happened. In east Jerusalem, the remaining Jews were faced with massacre, but a defense force, organized immediately after WWI by Vladimir Jabotinsky, a WWI hero of Jewish Palestine, prevented this from happening. This organization was later to become the Haganah. As a result, Jabotinsky was arrested by the British and given a 15 year prison sentence. He was pardoned the next year due to international pressure. The parliament in London was outraged at events in Palestine and quickly set about to dismiss both Storrs and Waters-Taylor. They created the office of High Commissioner, the first of which being Sir Herbert Samuel, a Jew. But the anti-Semitic administration still remained in the country. Samuel was a rather weak politician and the administration was successful in prevailing upon him to appoint Haj Amin al Husseini, the notorious Arab nationalist, as Grand Mufti of Arab Palestine, to appease the ‘legitimate’ Arab grievances. He later became a strong nazi ally. The next year, Husseini orchestrated, with the full backing of the British authorities, a renewal of the most recent riots which resulted in the deaths of, perhaps, as many as 47 Jews. Of these, at least 13 were massacred at an immigrant hostel in Jaffa. The mob was actively aided by the Arab members of the local police. Consequently, more Jews were expelled from Jaffa and Samuel acquiesced to Arab demands and suspended Jewish immigration to the country while allowing Arab immigration to continue unabated. Partial expulsions occurred in Ramle, Beersheba, and Shiloah, the site of the original City of David and burial place of Rabbi Ovadiah Bertinoro, the late 15th century Chief Rabbi of Palestine. The tiny settlements of Kfar Saba and Kfar Malal (birthplace of Ariel Sharon), were totally destroyed and their residents driven out. Both were rebuilt the following year, but other communities were not so lucky. These refugees were either immigrants, or were families that have lived in their homes for generations. To anyone who could see, it was clear – it didn’t matter whether Jews were immigrants or not. The Arabs and British wished to clear Palestine of Jews, period. It is a policy that continues to this day. In 1922, in a continuing policy of appeasing the Arabs, 75% of Palestine was taken away from the Jews and the Emirate of Transjordan was created, later to become Jordan. First the British, then the Arabs banned the entry of Jews from the area – a policy that continued until very recently. This put those communities of Arabs in Transjordan and even the Judean desert who were of Jewish ancestry in an awkward position. In 1948, these Arabs had always had good relations with their Jewish neighbors, but after 1948, most found themselves living on what became known as the ‘West Bank’ (and Jordan). They were often threatened with death by the other Arabs so that today, they would emphatically deny any Jewish connection. How Strong Is the Arab Claim to Palestine? There is a myth hanging over all discussion of the Palestinian problem: the myth that this land was “Arab” land taken from its native inhabitants by invading Jews. Whatever may be the correct solution, let’s get a few things straight: As a strictly legal matter, the Jews didn’t take Palestine from the Arabs; they took it from the British, who exercised sovereign authority in Palestine under a League of Nations mandate for thirty years prior to Israel’s declaration of independence in 1948. And the British don’t want it back. […] The Jews, meaning the people of the Kingdom of Judah, who, in their earlier incarnation as the Israelites, seized the land in the 12th and 13th centuries B.C. from:The Canaanites, who had inhabited the land for thousands of years before they were dispossessed by the Israelites. As the foregoing suggests, any Arab claim to sovereignty based on inherited historical control will not stand up. Arabs are not native to Palestine, but are native to Arabia, which is called Arab-ia for the breathtakingly simple reason that it is the historic home of the Arabs. The territories comprising all other “Arab” states outside the Arabian peninsula including Iraq, Syria, Jordan, Lebanon, Egypt, Tunisia, and Algeria, as well as the entity now formally under the Palestinian Authority were originally non-Arab nations that were conquered by the Muslim Arabs when they spread out from the Arabian peninsula in the first great wave of jihad in the 7th century, defeating, mass-murdering, enslaving, dispossessing, converting, or reducing to the lowly status of dhimmitude millions of Christians and Jews and destroying their ancient and flourishing civilizations. Prior to being Christian, of course, these lands had even more ancient histories. Pharaonic Egypt, for example, was not an Arab country through its 3000 year history. Not even a Zionist Jew would say that in America announcing that in public, you know why? because the most “moderate” Arab is more racist, far more bigoted and extreme than the most radical Zionist can ever be. BLOODTHIRSTY ANTI-ISRAEL ‘ACTIVISTS’ DANCE WHEN ANYONE DIESThe ‘Flotilla’ incident. With these “peaceful food supplies” the Islamic “activists” attacked Israeli heroic preoccupied security guards who are 24/7 concerned of terrorists coming in to massacre kids. From the” words are important” department What exactly is the humanitarian crisis that the flotilla was actually addressing? President of the Czech Senate, Dr. Farmisal Subotka, visited the Knesset on Wednesday and expressed unprecendented support for Israel regarding the Gaza flotilla. Subodka said it was a planned provation against Israel. “Many in Europe agree with me but are afraid to voice their opinion,” he added. Italian Newspaper Il Giornale expressed its support for the Israeli raid on the pro-Hamas flotilla and said that IDF soldiers were justified in opening fire to defend themselves. The IDF Spokesperson’s office on Wednesday afternoon released more new footage of Gaza flotilla activists attacking soldiers with a stun grenade, a box of plates, and water hoses. Also in this video, activists can be seen waving metal rods and chains, which were later used to attack soldiers. Earlier Wednesday, the IDF Spokespersons Office on Wednesday released new footage showing Monday’s bloody raid of the Mavi Marmara ship. – They have real weapons? – Shoot him where is he? The IDF previously released footage of the Monday raid, which depicted the activists attacking soldiers with various weapons, including a large metal pole and other metal objects. In related news, Israel Radio reported Wednesday that the most viewed video on YouTube over the last day was the IDF’s footage of the Mavi Marmara raid. Al-Jazeera’s flotilla raid footage racked up over 500,000 views. Two of the Turkish men shot dead during the Israeli commando raid on an aid flotilla heading for the Gaza strip were activists who wanted to be martyrs for their [ISLAM] faith. All the Turkish dead named so far were said to be religious activists linked to IHH, a humanitarian agency with an Islamist stance that Israel has accused of supporting militant groups including Hamas and al-Qaeda. THE “PEACE ACTIVISM” WITH KNIVES, METAL CHAINS, STUN GRENADESBut Why does the CNN, BBC call the anti Israel racist Arab violent thugs as “peace activists?”How can “peace activists” be so violent and INITIATE attacks with knives and metal bars hitting heads of security guys?Geez, I never knew a “peace activism” could be so violent and so bloody.It seems that Israeli security people have long stopped being seen as human beings, since most media ignored the injured ones in the hospital who simply explain that they had to shoot for fear their life was in danger.A sincere independent media or political persnality would be shocked in the utter surprise violent attack by the ‘Flotilla’ Muslims “activists.” First and foremost.WHY DO CHECKPOINTS EXIST? Does MSM expect Israelis – the very victim of Arab-Islamic bigoted attacks since its re-birth, not to check the incoming ships for weapons smuggling? Or, is it a secret that Palestinian-Arabs have used: pregnant women, UN vehicles, ambulances for weapons and bombers transport? Each time you board a plane and being searched, remember that Israelis non-Arab Jews have to go through this in any major crowded area, and remember who’s fault it is all. It’s not Buddhism, nor, Christianity or Judaism!A CALCULATED PLANHow much greed, money was in the ‘plan’ of intentionally letting the Arab “activists” die in their initiated unprovoked confrontation, in the Hamas, Hezbollah Islamic-Arab global fundraising (besides of “victimhood” and damning Israel’s image) objective?It is always planned, the media should stop playing stupid for once, the same as when Palestine Hamas or “moderate” Fatah’s Al-Aqsa brigade or Hezbollah shoot behind babies, attack Israelis who make the checkpoint stricter that triggers an outcry against “those bad Israelis.”HUMANITARIAN WHO?If it’s only about “giving humanitarian aid,” Why not let Israelis give it to Gazans (provided that Palestinian leaders won’t steal it as usual) and leave peacefully the area?If the mission would be really a “humanitarian” and to “help poor Arab-Palestinians,” Why not send the aid, why attack Israelis? Why not do honest humanitarian work for once and simply bring the food instead of bring knives with such a built up rage? Let me tell you why, because no one is “pro-Palestinian,” absolutely no one cares about them, asides from using them, but all these Arabs, Muslims from Arab countries, or (mainly from Islamic) Turkey & Spain are really against Israelis, or Jews, that’s exactly the gist of “Pro-Palestinian activism.” As soon as Arab-Palestinians are better off (given that they change…) these “activists” [leaders] lose their anti-Israel-hate oxygen, they’re so desperately hooked on.This is not the first Gaza-STUNT-boat, and we haven’t learned anything.Isn’t already a known fact –by now– that Palestinian or Iranian backed Hezbollah ‘anti-Israel violent machine’ has been abusing anything “humanitarian” for its propaganda purposes?If these warriors & actions are ‘peace,’ what is war? ANTI HUMANITARIAN PALESTINIAN LEADERSHIPWhat more can one say about the shear cruelty, like Palestinian leadership of Islamic Hamas refusing to allow the aid to reach their people in order to make political demands? Still think it’s about feeding Arab-Palestine? You are currently browsing the Freedemocracy's Weblog blog archives for June, 2010.